Choose something that will get you closer to your true goal because when you reach that goal the feeling you have is amazing. Pursuing your goals requires a lot of will, determination, and sacrifices. Most people get stuck along the way due to failure to know what they really want in life. You must have a purpose to succeed in anything. Those who quit prematurely settle for less than they anticipated. In the end, their life becomes fraught with endless unhappiness. 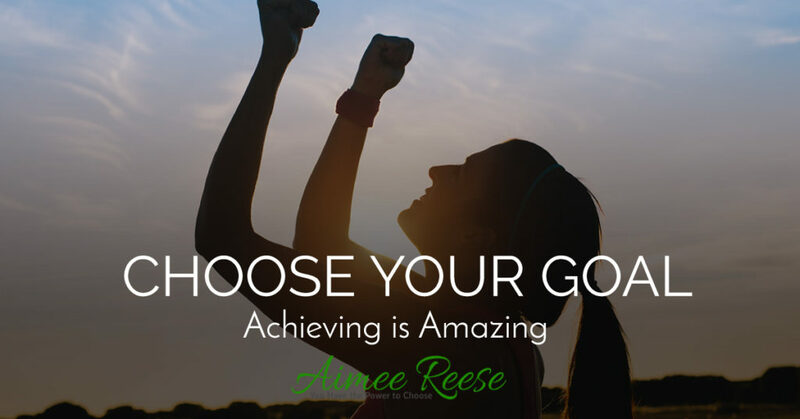 How can you ensure that you choose things that get you closer to your true goal? To achieve your goals it is imperative to make the right call. You cannot afford to get stuck in the fence if you want to become successful in life. It is extremely important to ensure that your motives are right, otherwise having wrong motivation can complicate your life further. Every single decision you make should take you closer to your true goal. It is the only way to abundant happiness. When setting goals, it is imperative to remember that life is short. Most people are not failures due to foolishness. Time wastage is the key to endless predicaments. You must always ensure that your time is only spent on value-adding things. It is easy to lose numerous golden opportunities due to poor time management even when your paths are clear. Remember, time wasted is never recovered. Eliminate procrastination to achieve your true goals. Goals achievement is all about visions. Without a clear vision, it is impossible to achieve greater things in this planet. People that are easily influenced by lesser goals simply lack direction. Having a persuasive vision can result in tremendous success and achievement thus leaving you feeling incredibly great about yourself. Achieving greater things in today’s world is not as simple as many perceive it to be. Distractions can impact on your life in so many negative ways. Therefore, there is wisdom in desisting wasting precious time on distractions. Instead, utilize your time well on meaningful things such as eating healthier foods, or exercising. It is prudent to make decisions that will not come back to haunt you later. Avoiding distractions successfully can boost your confidence immensely thus leading to goals achievement and sense of fulfillment. Making endless excuses can hinder anyone from achieving their dreams effortlessly. It is prudent to take full responsibility for your life at all times. Don’t let your past failures, weaknesses or slow starts be the reason why you become a failure. Excuses will only limit you from achieving personal or professional growth. Additionally, invest your precious time learning new skills, attaining new knowledge, changing your perceptions, taking risks without fear of failure and surrounding yourself with people who have various accomplishments to become successful.